2014 SAVE & SHARE Video Everywhere! 4 dancers for 1 price. Save video to your phone photo gallery, upload, message, or email high def videos. 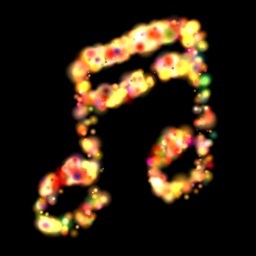 NEW Version: Classic Elf, Ms. Merry Christmas, EDM Dub Rudolph Reindeer, Feliz Elf. * 4 Characters for the same price!!! * SAVE & SHARE Video Everywhere! 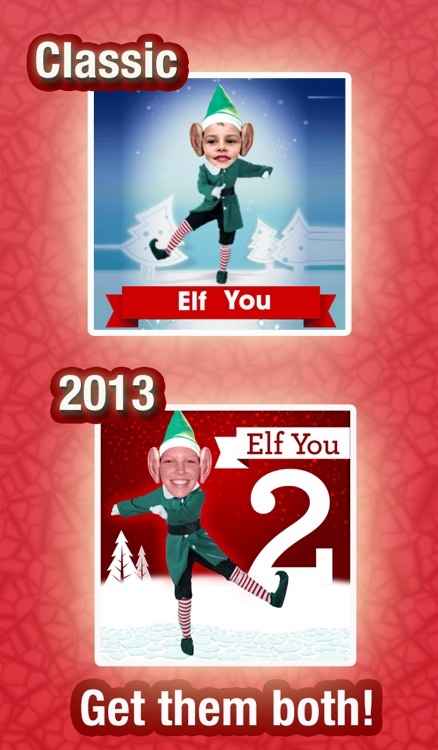 * Martha Stewart & Today Show TOP Christmas app. 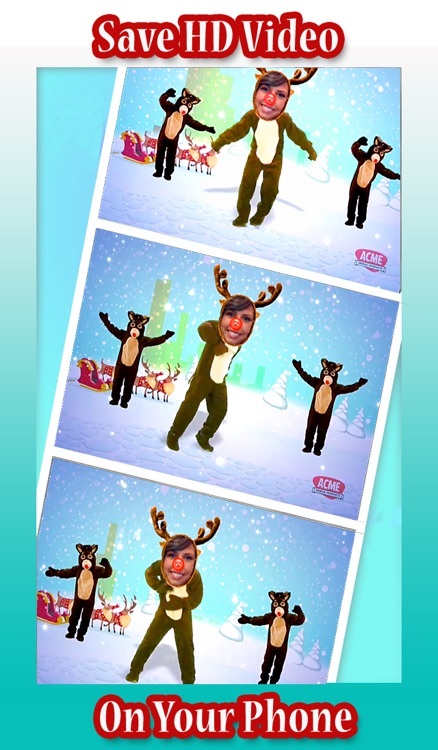 * Best Christmas dancing video app. 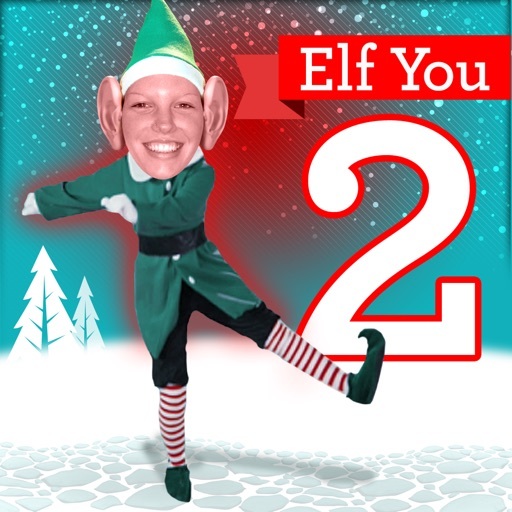 NEW Super Dance Christmas Elf Edition Two. 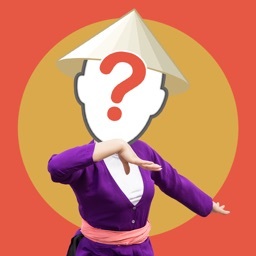 Live video characters not flat animations. Save them and share them with friends! 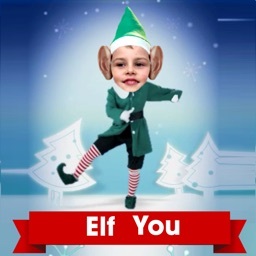 Put any face you like onto grooving dancing Elves getting down to a your favorite holiday tune. You think you can dance? 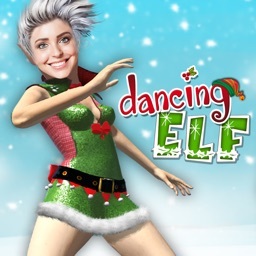 Of course you can with Super Dance Xmas. 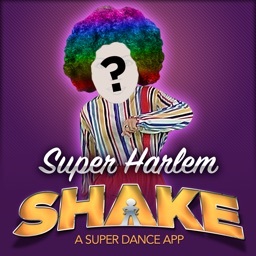 Do the Charleston, Hip hop, EDM Dub Trance House and Feliz Shake using pop and lock and break dancing moves. Swing dance with the cute Miss Christmas. 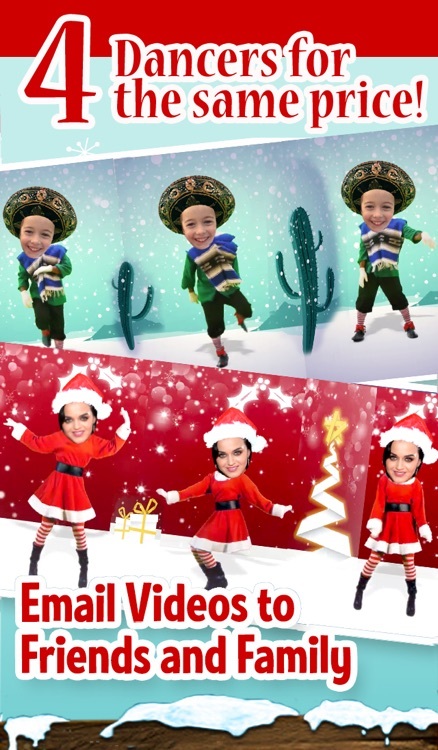 Its so simple, use a face picture in your album or take a new one with the device camera and add an Elf, Reggae Reindeer, Miss Merry Christmas and a Girl Elf . 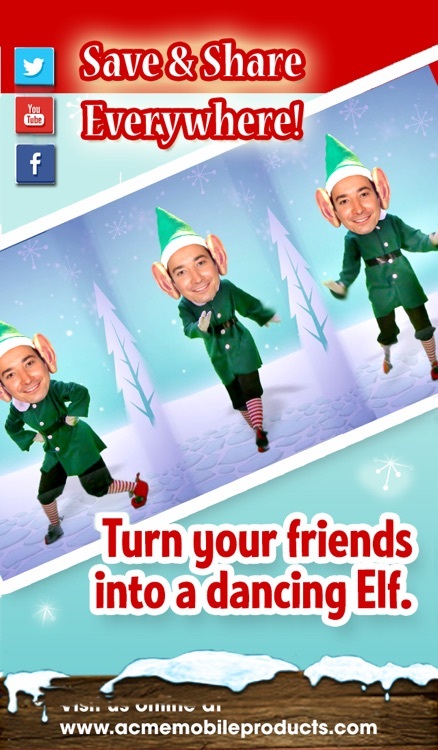 You can dance yourself or dance your friends to the Holiday tunes. Have fun with these dancing friends from the north pole. Make an entire family of dancers; mom, dad and the kids, you can even make your pets dancers. Put it on your Santa list! Save your dancers and Elf U too!